It’s exciting to be celebrating our tenth anniversary and we’re thankful that all of you will continue to be patriots who believe in liberty and are willing to stand up and fight for it! Let’s do this! 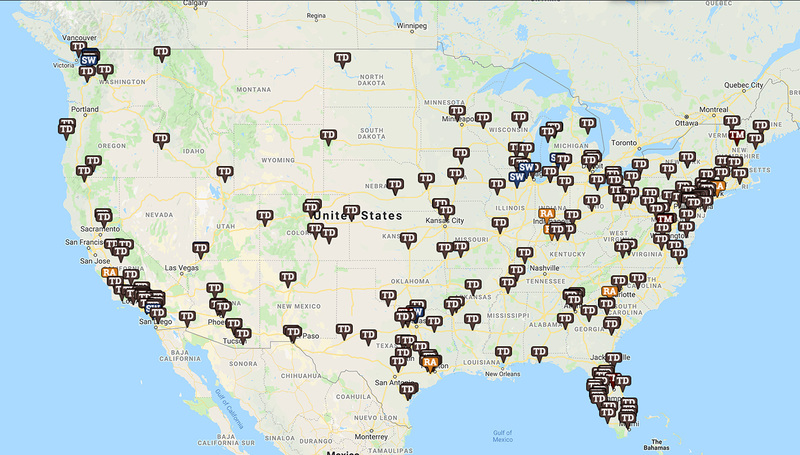 Want to learn how to host an event or get notified if an event is taking place near you? Have you signed up to host a rally and already know your event’s information? History shows that socialism has failed everywhere it has been implemented, because it rejects a fundamental ingredient of what makes capitalism successful – private property. The more aggressively socialism is pursued, the bigger the failure that results. History also shows that capitalism is the economic system that has brought more people out of poverty than any other system. Finally, history shows that you cannot have political freedom without economic freedom. 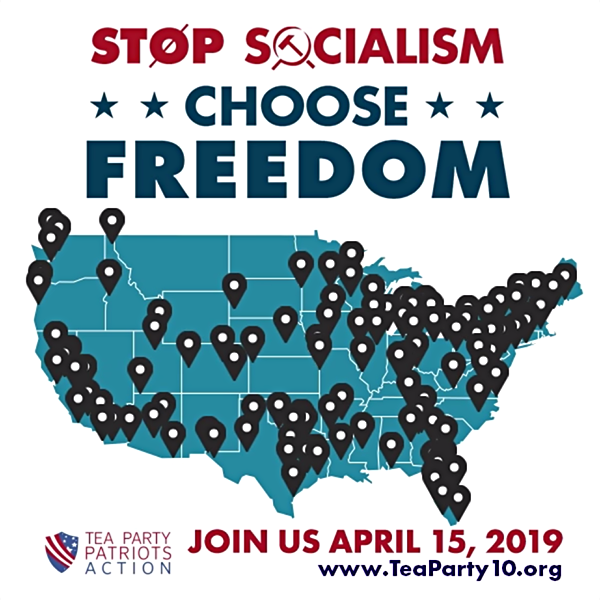 The moment you begin to limit economic freedom, you begin to limit political freedom; the goal of socialism is to limit economic freedom, meaning the result is limited political freedom. We have seen this happen throughout history, from the Soviet Union to Venezuela, and now we even see the middle class revolting against the high levels of taxation (i.e. limit on economic freedom) required by socialism in Paris, France. 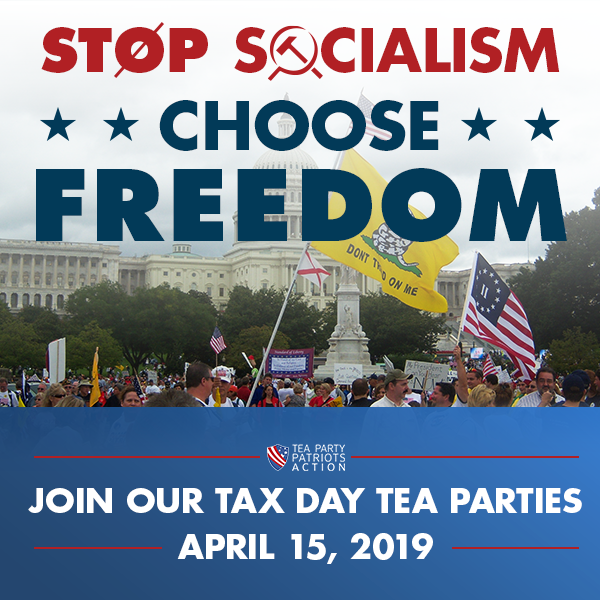 We the undersigned encourage all elected officials to join to the effort to stop socialism and choose freedom instead. 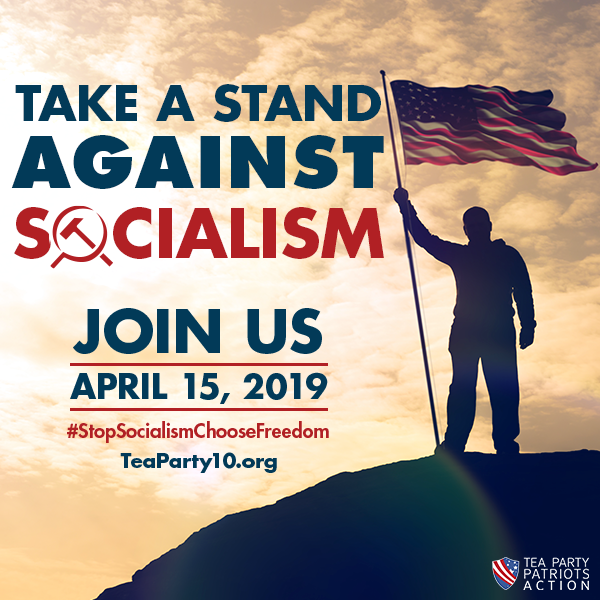 Thank you for taking the time to sign this petition and add your name to the chorus of voices demanding that our nation stop socialism and choose freedom. We also thank you for sharing this petition with your network, and on social media. We are in the midst of creating tools and resources for supporters across the country to use to put on their own rallies. Please consider making a donation today to help get these resources into the hands of as many Americans as possible. There are three posts, and we’ve made it so easy for you to share. You can either download the embedded images and then upload them yourself (as well as copying the included text and pasting it into your post), or just click the buttons below to share them directly to your social media accounts.